Over recent weeks, the military has held several maneuvers in residential areas or grazing land belonging to Palestinian communities. Israel claims that the areas are “firing zones,” despite the fact that these communities have lived and worked on the land for many years. Between 31 October 2016 and 2 November 2016, the military temporarily displaced 13 Palestinian families, numbering 64 people, including 27 minors, from their homes in the communities of Khirbet Khumsah and a-Ras al-Ahmar in the northern Jordan Valley. The families were forced to move to remote locations, and in some cases to take their flocks with them. In recent years, residents of these communities, alongside which the settlements of Ro’i and Beka’ot have been established, have been forced to leave their homes several times a year on this pretext. In the community of Khirbet Khumsah four families, numbering 26 people, including 14 minors, were displaced on two separate occasions. On 31 October 2016, the families were displaced from 6:00 a.m. through 12:00 noon, while on the next day they were again displaced at 6:00 a.m., and this time were only permitted to return home at 10:00 p.m. In May, 19 families from this community were displaced for many hours over a period of three days, on one of which they were not permitted to return home even at, while on another they were only permitted to do so at midnight. In 2015, families from the community were displaced on 19 separate occasions. In the community of a-Ras al-Ahmar, nine families, numbering 38 people, including 13 minors, were displaced and forced to spend the night away from their homes. The families were required to leave their homes on 1 November 2016 at 4:00 p.m., and were only permitted to return the next day at 10:00 a.m. The displacement came after Civil Administration representatives confiscated five tractors used by the residents to carry water and livestock feed, and after Civil Administration forces demolished 10 homes in the community on 9 October 2016. Prior to these displacements, the military held maneuvers on land adjacent to the community on five separate occasions since the beginning of the year. In 2015, families from the community were displaced on eight separate occasions. During the most recent displacement, residents of the communities were forced to leave their homes and to travel on foot or by tractor to distant locations. Some families found shelter in tents they keep on distant grazing land, but were left outside without shelter, for many hours and even overnight. Last week they came and confiscated our tractors, including my own. The tractor is like my right hand – I use it to carry water and animal feed for the flocks and things the family needs. They destroyed me. Four days earlier they gave us an order to evacuate on 1 November 2016, from 4:00 p.m. until 10:00 a.m. the next morning. At about 4:00 p.m. on the day of the displacement, two Civil Administration jeeps and a military jeep arrived and began to remove the residents from their tents. They searched every home, family after family. We were forced to leave our flocks behind. When we left, it was cold and raining and beginning to get dark. I went with my family to some remote tents we have, and we set ourselves up there. Some other families rode on animals and stayed in the open air in the cold, far from their homes. We spent the night in terror, worried about our children and our belongings. We have lambs and we were afraid that hyenas and other wild animals would attack them. The soldiers fired several mortars that went over our heads toward open areas in the mountains. We were afraid that a mortar might land on us and kill us.. The next morning the maneuvers ended at about 10 a.m. It was really tough. The food and water we’d taken with us weren’t sufficient. We went back to our tents very cautiously, because we were afraid that unexploded mortars might have landed in the area. We looked here and there to make sure to make sure the place was safe, and luckily we didn’t find anything. The tents were in a terrible state – dogs and livestock had entered and rooted through everything. The newborn lambs had nearly died of hunger and thirst and some of them were sick. We called for a vet to check them. The children were exhausted after the terrifying night and some of them didn’t go to school that day. We’ve been displaced several times over the years, and every time they dumped us somewhere else. The goal of this policy is to destroy our livelihood. They want us to leave the place. Sometimes they demolish homes, sometimes they displace us, and sometimes they confiscate our equipment. We’re familiar with this policy and we know what purpose it serves. 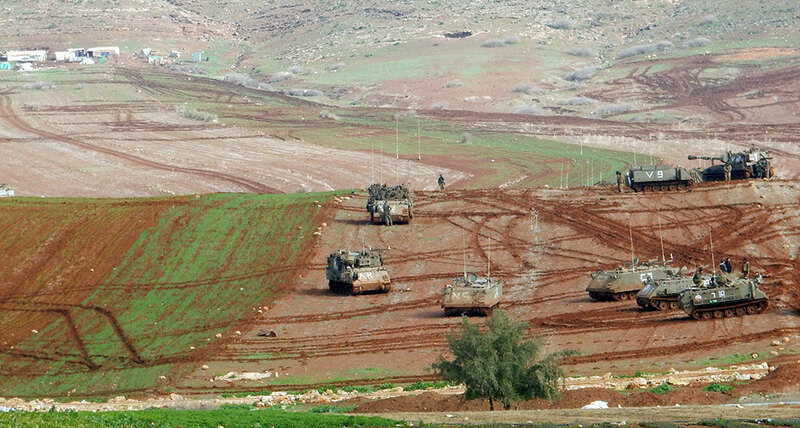 Some two weeks earlier, on 13 October 2016, military forces also held maneuvers in the al-Fajam area, close to the Palestinian village of ‘Aqraba in the Nablus District. The area includes farmland and grazing areas used by dozens of families from the village. The families only live in these areas during the winter, but their tents remain on the land throughout the year, as do members of the family responsible for shepherding the flocks. 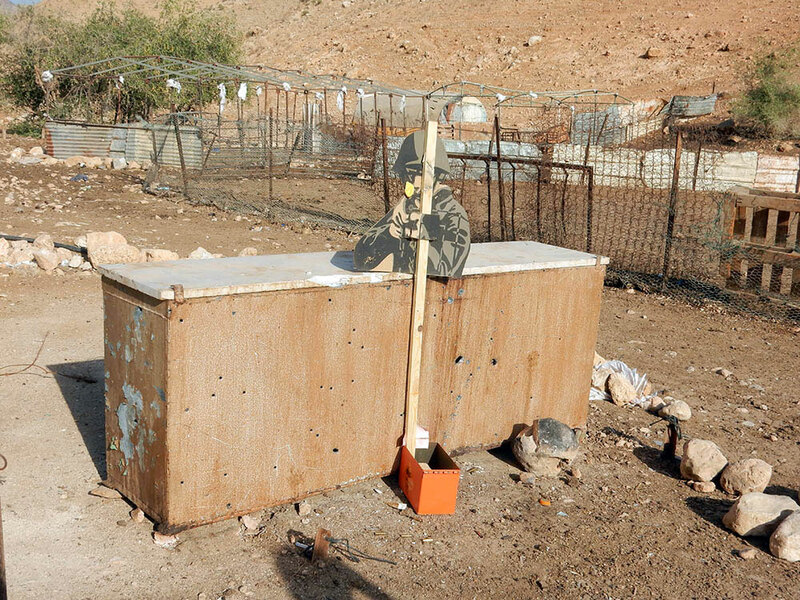 Israel defines this area – as well as the residential area of the neighboring community of Khirbet Tana – as a firing zone and prohibits Palestinians to live there, despite the fact that they have done so since before Israel occupied the West Bank. 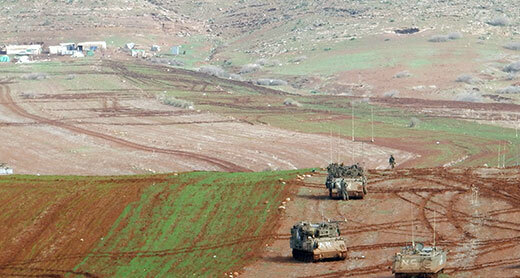 Israel has established the settlement of Mechora in the area. In these instances, the residents were not displaced from the area and did not receive notice prior to the maneuvers, but were simply forced to leave when they notice massive military presence in their residential and grazing areas. The military maneuvers damaged tents and water containers belonging to the families that live in the area. I live here in the al-Fajam area with my family and my brothers’ families. I’ve raised eight children here. We live here and graze our flocks. In summer the families go back to ‘Aqraba, but the shepherds and flocks stay here with the homes and tents. On 13 October 2016, my flocks were in the grazing area in a section close to our homes, with a large number of shepherds, including my son Thaer. Many soldiers arrived, so the shepherds took the flocks and moved away from the area in order not to be hit by bullets. In the evening, after it got dark, there was massive shooting in the area. The next day we saw the soldiers leaving the area on buses and we went back to our living areas. The place looked like a battle scene. There were hundreds of empty bullet shells between the tents and the surrounding area. 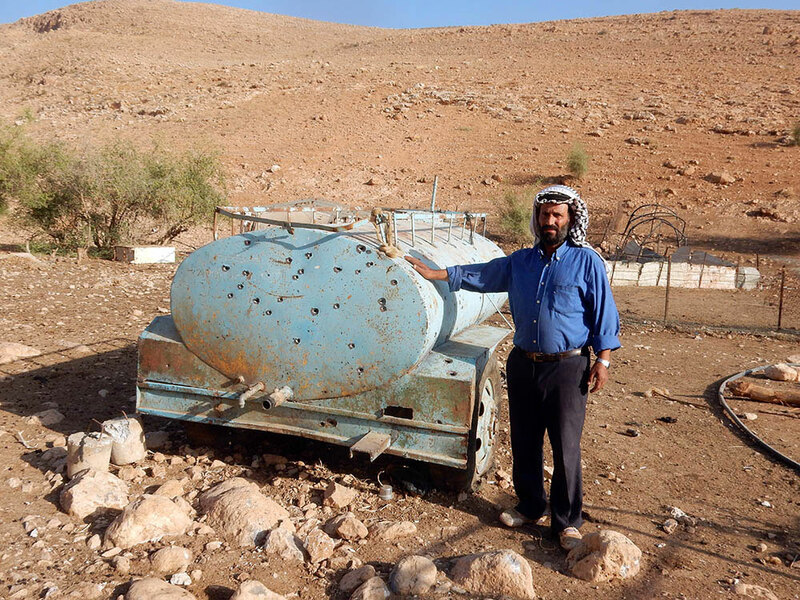 Dozens of bullets had pierced my water container trailer and my brother’s container. 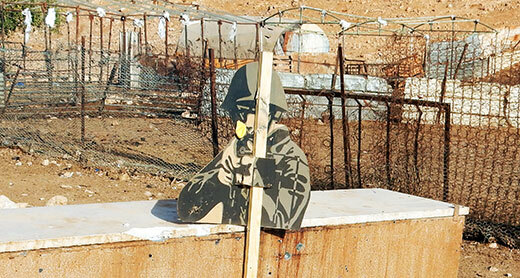 Thye practiced shooting at the containers, the shacks and tents, the tables – everything that was there. 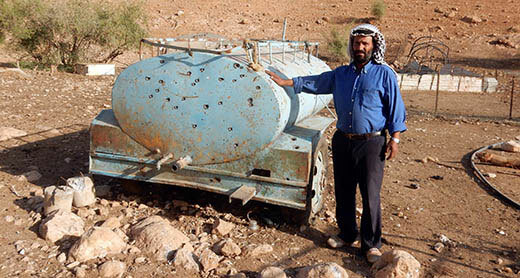 They stuck targets on the plastic water containers and exploded them with bullets. They didn’t leave anything alone and shot everything there. We were afraid that they might have left explosives there. We checked the area carefully but we didn’t find anything. We were very scared.I was very anxious after this. I worried about what might have happened if one of the shepherds had been there, God forbid. There would have been a disaster. I have an anxiety attack every time I see a bullet there. The repeated displacements of communities in the Jordan Valley for the purpose of military maneuvers causes intolerable disruption and undermines the very ability of these communities to remain in their homes. Residents are required to leave their homes for protracted periods with very little warning, sometimes only a few hours. In some cases, the residents do not have any real alternative location to move to, and are left exposed to the harsh weather conditions of the Jordan Valley. They are forced to attend to their families, from young children to the elderly, in these conditions, and to struggle to provide shelter, water, and food. In the case of al-Fajam, the military arrived to undertake maneuvers in the community’s residential area without displacing or warning the residents, who were forced to leave when they realized that they were in danger. During a Knesset committee meeting on 27 April 2014, officials openly admitted that the expulsion of members of these communities is one of the goals of the military maneuvers in the area. IHL stipulates the actions an occupying power in an occupied territory must be guided by just two considerations: the good of the local population, and immediate military considerations relating to military operations in the occupied territory. As the occupying power, Israel is not permitted to use land for general military purposes, such as war maneuvers and generic military training. It is certainly not permitted to damage the livelihood of protected persons on this pretext and to encourage their expulsion from their homes. Israel must immediately end the temporary displacements of communities for the purpose of maneuvers, together with all its other actions intended to force Palestinian residents of the Jordan Valley to leave the area.